The Quepos-Manuel Antonio area, and the entire country of Costa Rica is just beginning to recover from the ravages of Tropical Storm Nate. It is apparent that it will take many years to repair and rebuild homes and infrastructure which were destroyed due to the heavy flooding and landslides. We would like to sincerely thank all the volunteers in our area, who have given so generously their time and support to those people in our community who have lost everything. Many others living outside the country have also expressed their concern and have donated funds to purchase needed food and clothing for those in need. Thank you all! Members of Costa Rican Coast Guard & Ministry of Environment at tree planting. TCA continued to plant more trees during this very rainy season! 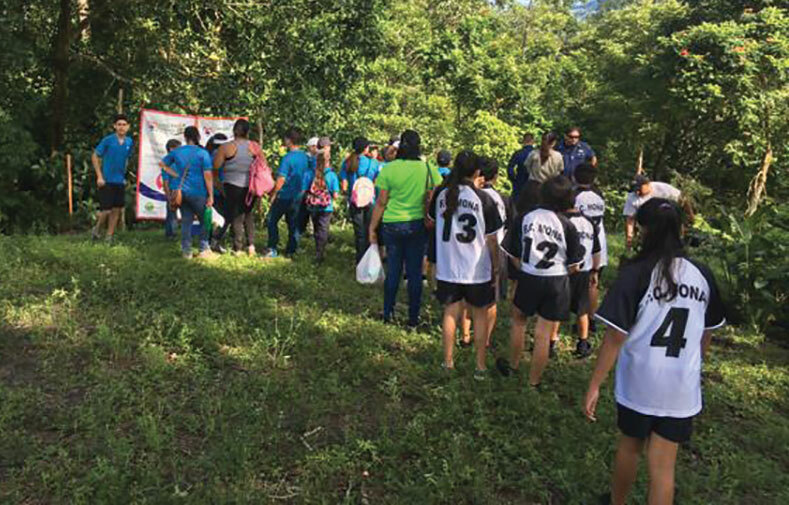 In September, students from Escuela Finca Mona and Escuela Portin de Naranjo joined together to plant 250 trees on Marcia Bennetts farm in Naranjito, located on the outskirts of Quepos. Also in September, our TCA employees assisted the Barahona family in planting over 800 trees on their farm located near the village of Londres, also in the heart of the Naranjo River Biological Corridor. Finally, our Titi Conservation Alliance tree crew, led by Ing. 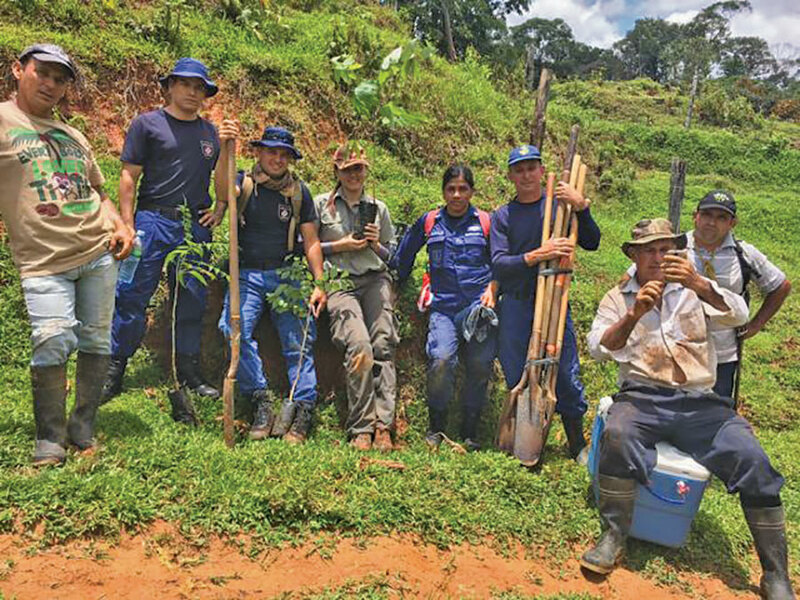 Juan Pablo Aguero, planted an additional 250 trees on the Gamboa family farm located in Tocori, near the village of Villa Nueva, assisted by members of the Costa Rica Coast Guard and Ministry of the Environment. We sincerely thank these new landowners who participated in our conservation efforts this year! You can find more info on our website www.monotiti.org. For questions or to make a donation please contact Russ Jensen at director@monotiti.org or cell phone 506-8502-2034. Happy Holidays to all from the Titi Conservation Alliance!